Varian VK7025 Paddle Cleaning Rack for Dissolution with Warranty . New Life Scientific, Inc. This is a cleaning rack that fits on the VK7025 Dissolution Apparatus. use in the containers and let the paddles clean themselves. 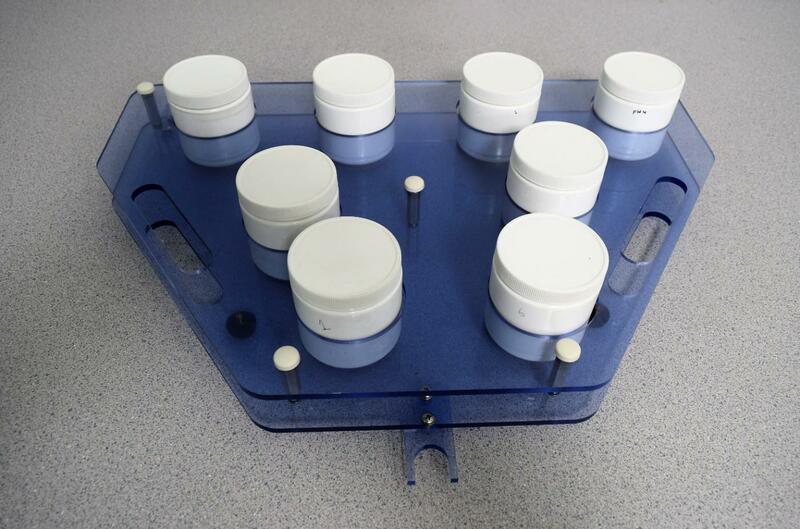 This includes eight containers with lids and the rack. Dimensions (WxDxH): 21 x 15-3/4 x 2-3/8 – with containers 4 in.